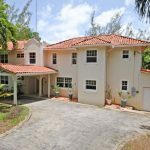 Relando is situated on over half of an acre with mature and beautiful trees and gardens and is enclosed with fencing and gates. 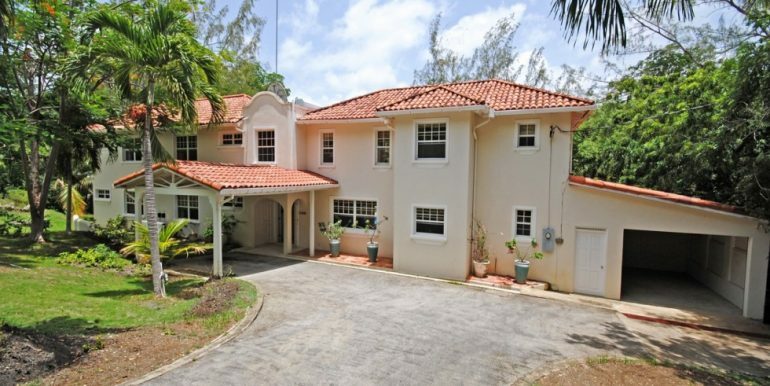 Relando has a long driveway leads to a covered portico and a two car garage. 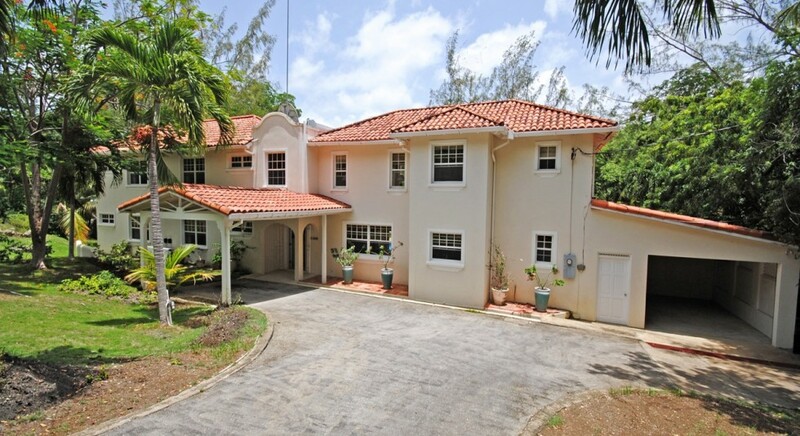 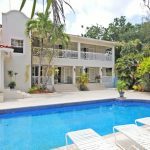 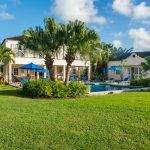 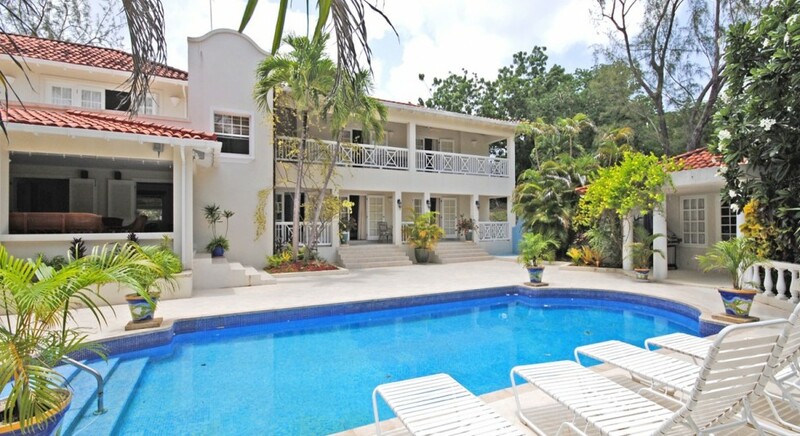 This beautiful, well laid out villa is located in the most sought after and well known Sandy Lane Estate. 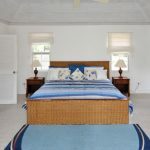 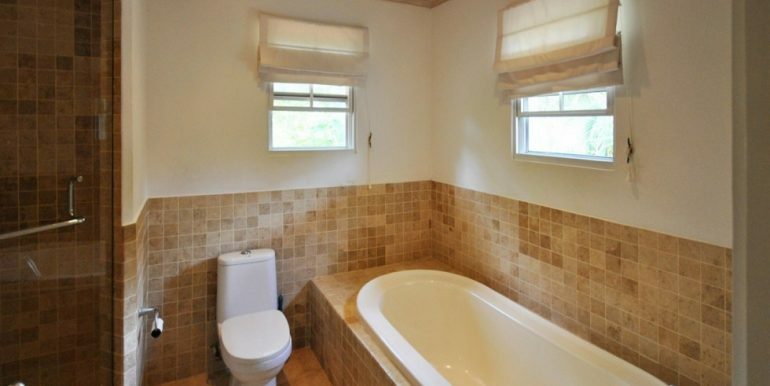 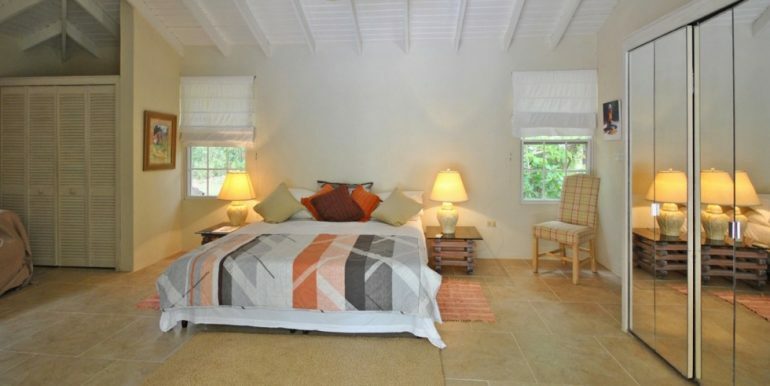 It boasts 5 Bedrooms with en-suite bathrooms and walk in closets in the main house. 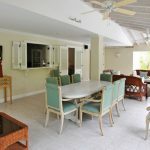 The main villa has two levels with the main floor comprising of the main foyer area, a large living area which opens up to an immaculate covered patio which has an indoor/outdoor living room and a large dining area. 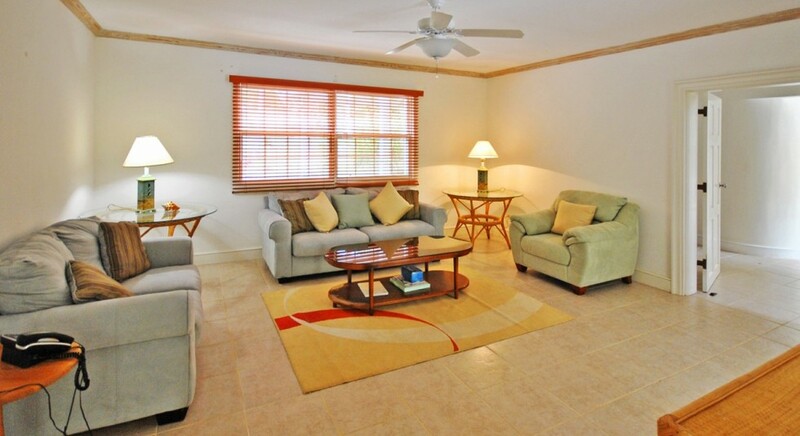 Relando also has a beautiful kitchen and laundry facilities which lead out to the garage. 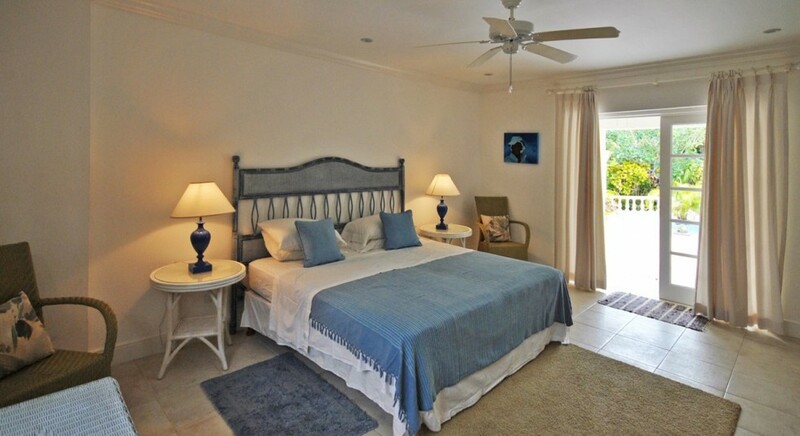 Two large bedrooms with en-suite bathrooms are on this level that look out to the pool. 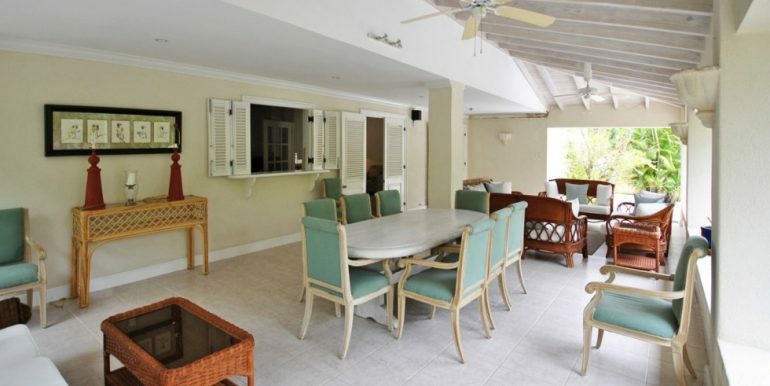 The second level comprises of the left wing which has 2 bedrooms with en-suite bathrooms and looks out to a covered balcony that overlooks the pool. On the right wing is the master bedroom with 2 en-suite bathrooms and walk in closets for his/hers. 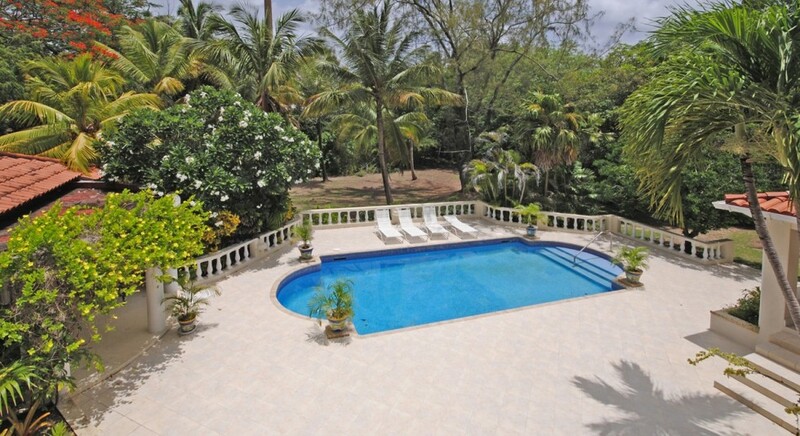 It also has a private patio that overlooks the pool. 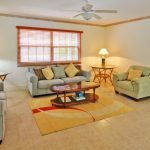 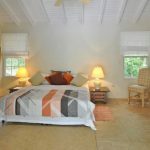 Relando also has a very cozy self contained Cottage within its grounds which looks onto the large pool and the mature gardens with a covered patio. 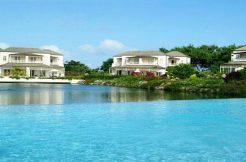 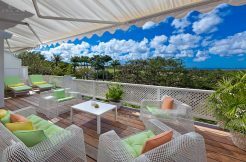 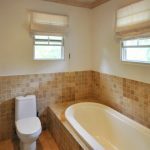 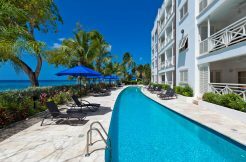 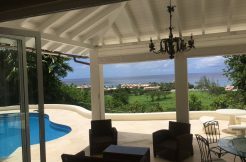 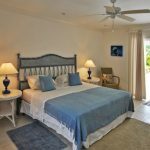 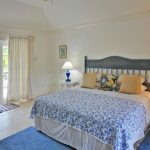 There are many amenities in this area such as high end shopping, International golf courses not to mention the beautiful Sandy Lane Hotel and the relaxing beaches of the West Coast. 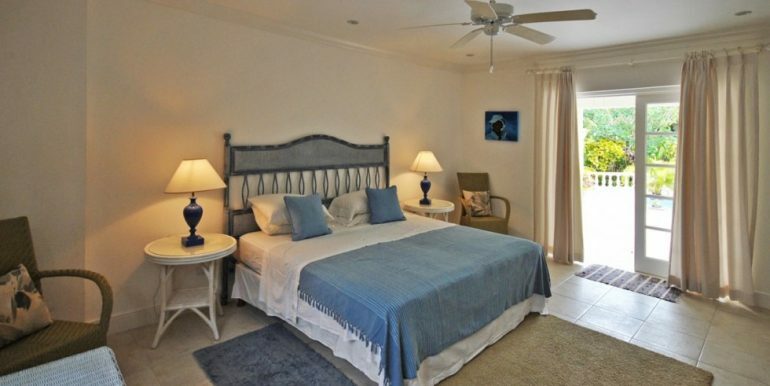 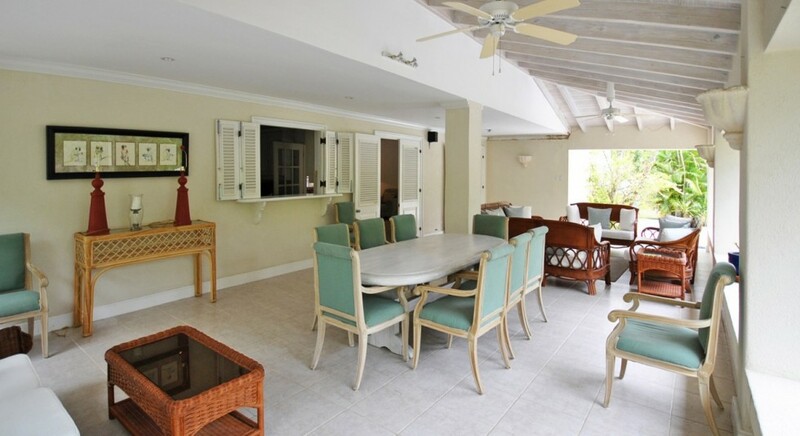 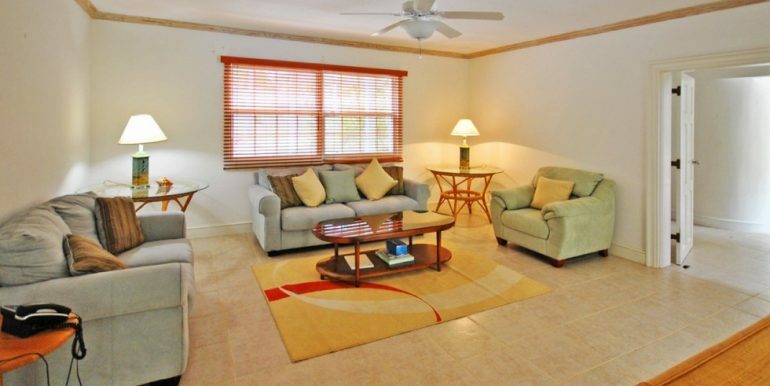 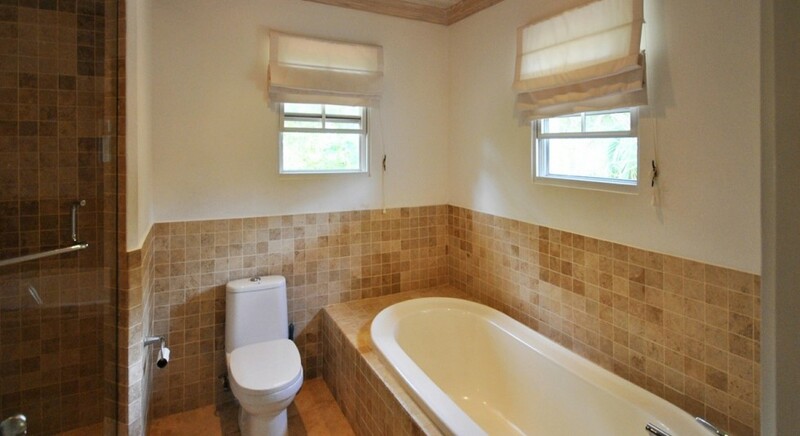 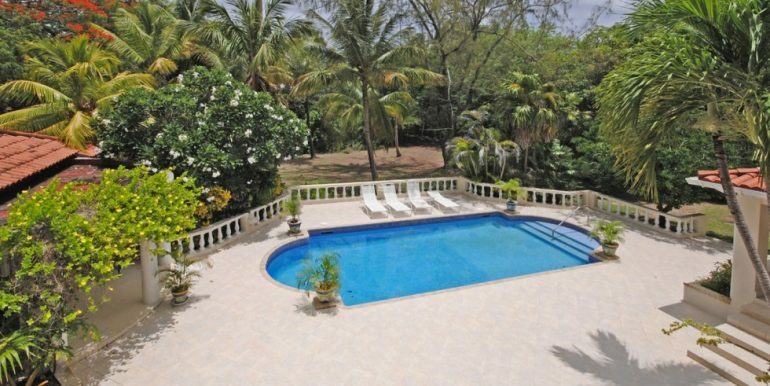 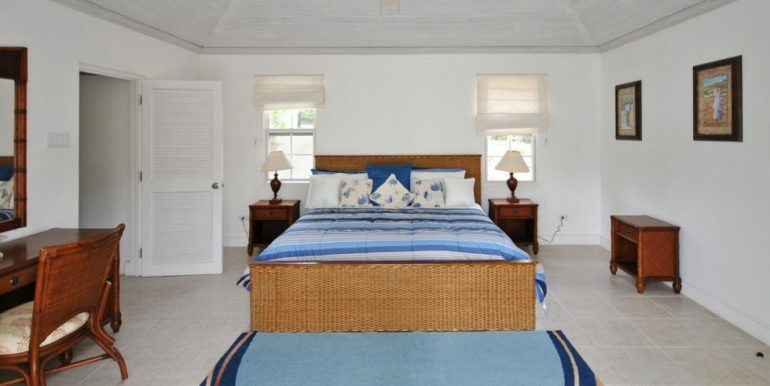 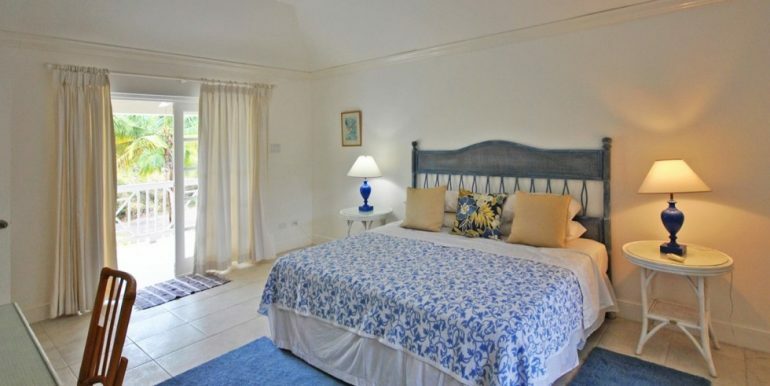 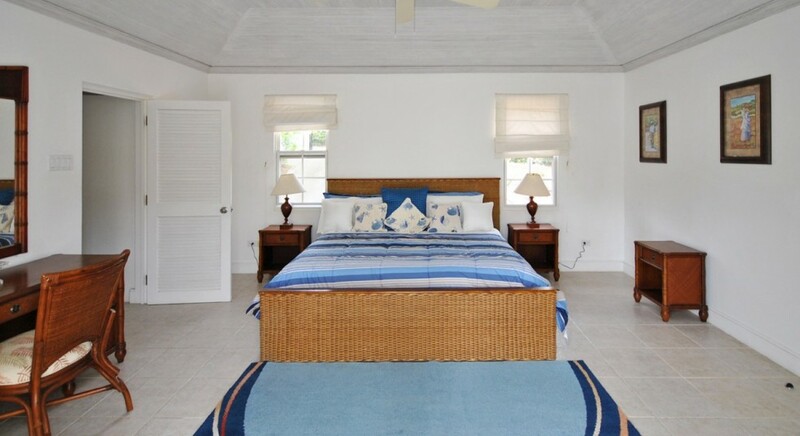 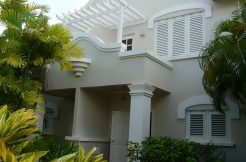 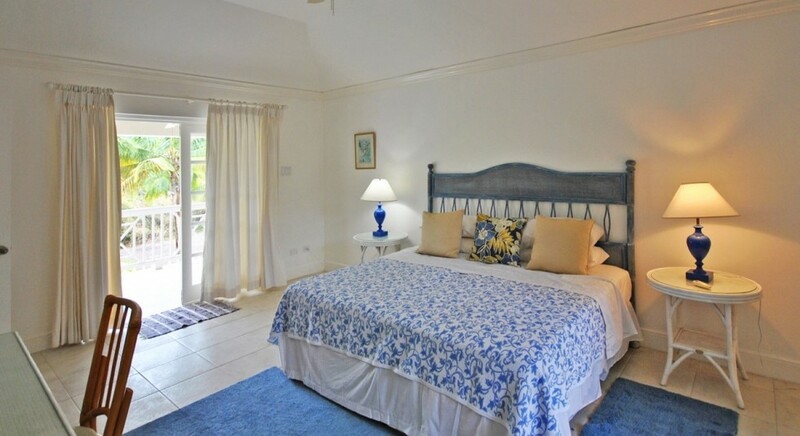 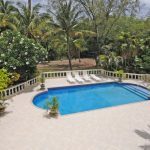 Rent includes garden and pool maintenance as well as access to Sandy Lane’s private beach facilities.